Final Four viewership is trending in the right direction for Turner Sports. Viewership for TBS’ Final Four coverage Saturday were always going to be down from last year, when the event aired on CBS. But in encouraging news for Turner Sports, the numbers were up 15 percent from the last time the national semifinals aired on TBS, in 2016. TBS announced Monday that both national semifinal games saw a viewership bump from the comparable matchup two years ago. Loyola-Michigan on Saturday evening was up a whopping 29 percent from Villanova-Oklahoma in 2016, with an average minute audience of 13,445,000 viewers across all platforms. This makes some sense given that 1) Loyola has been a ratings draw all tournament long and 2) that Nova-OU game was a 44-point blowout that was fully decided by halftime. 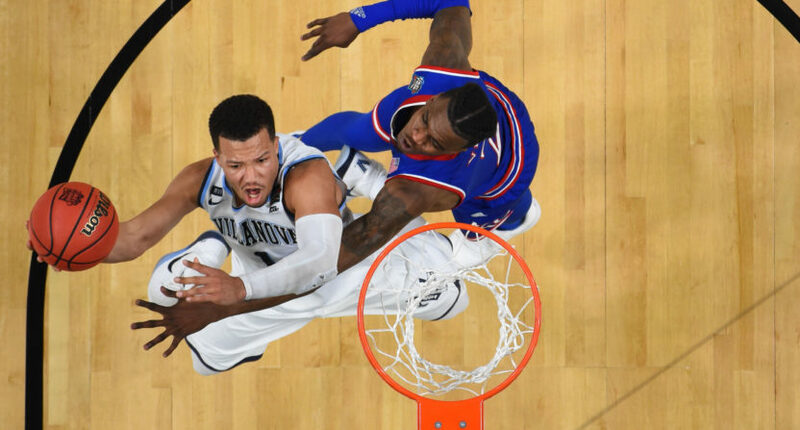 Villanova-Kansas on Saturday night saw a comparably modest three percent bump from North Carolina-Syracuse two years ago, with an average of 13,309,000 viewers across all platforms. This one is more or less an apples-to-apples comparison. Both the 2016 and 2018 games featured a pair of marquee college-hoops powers, and both games were fairly lopsided, with the favorite eventually winning by double digits. We should note that Turner is using total viewership for the 2018 games as compared to television-only viewership for the 2016 contests, which accounts for some of the increases but certainly not the entire 15 percent bump. For what it’s worth, Loyola-Michigan was down about 8.5 percent from last year’s Gonzaga-South Carolina matchup on CBS (which has a significantly broader reach than TBS), while Villanova-Kansas was down about 29 percent from North Carolina-Oregon. Overall, semifinal viewership was down 20 percent from 2017. Ultimately, it’s dangerous to draw too many conclusions from just a couple games, with so many variables at play. But with ratings for the NCAA Tournament on the whole only so-so, Turner must be satisfied with its Final Four numbers. Execs can also be pleased that after an upset-filled few weeks, the final game Monday night comes down to two talented teams with large fanbases, in Villanova and Michigan. Turner presumably hopes that the more Final Four games TBS airs, the more viewers will associate the network with the event and the more people will watch. The bump from 2016 to 2018 seems like a good start.